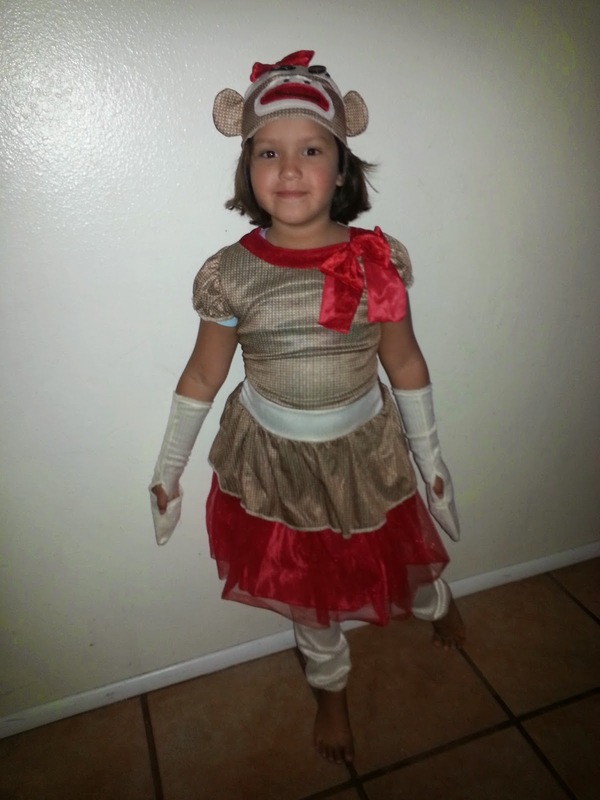 My little one searched the girl costume section of the Costume Supercenter site for the perfect dress-up. 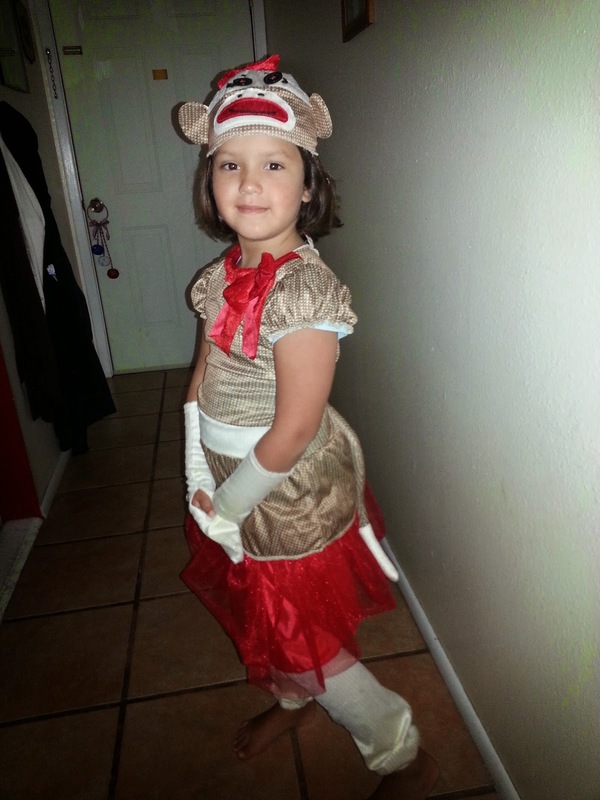 She really couldn't decide until she saw this adorable Sock Monkey one. This costume is made with good quality material that won't tear after one day of wearing it. It's held together really well so far. If you're feeling super crafty you can purchase a Sock Monkey kit to make and carry around. You know how they have matching dresses for the dolls? Well here you can have matching sock monkey ;). So, just remember when you need a costume to check out their supercenter. Fabulous products for a great price! For my fellow military friends and family....they offer a military discount. AWESOMENESS! Costume provided by Wholesale Halloween Costumes for this review. Opinions are my own.